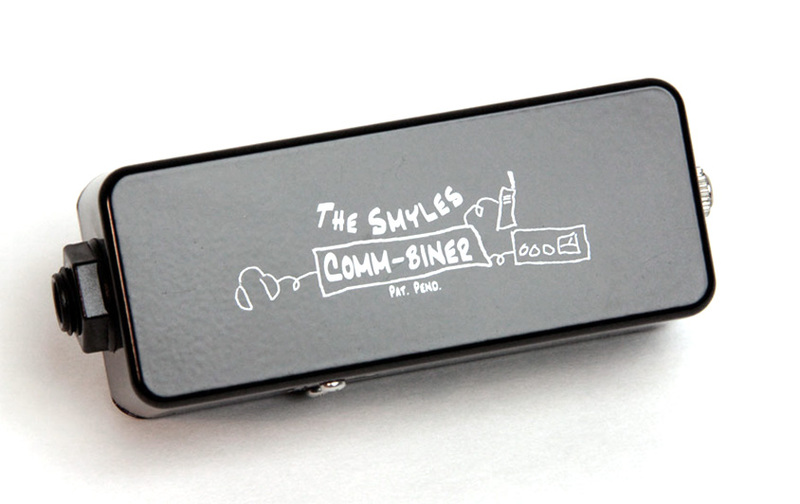 The Smyles Comm-biner is a quality stereo audio interface that combines production audio and walkie-talkie audio so both can be monitored via headphones. It is particularly suited to the world of reality and documentary production but is useful in any situation where walkie-talkies must be monitored as well as production audio. With the Smyles Comm-biner there is no need to block one ear with an uncomfortable surveillance tube, compromising the sound of your headphone in that ear – both ears are open and so you hear normally and “in stereo”. And if you use in-ear monitors you don’t have to improvise to try to get the surveillance tube AND your in-ear monitor in the same ear. It can be used with any input source from professional mixer/recorder or camera to IFB receiver, iPod, or iPad. Use your own headphones, IEMs, or earbuds. You select the walkie-talkie feed to left, right, or both ears. No surveillance tube to clog up — but the transducer and tube are included for those times you don’t want to wear headphones…such as at lunch time. Stereo-mono switch: In STEREO mode you have normal stereo monitoring of production audio with the walkie-talkie feeding left, right, or both channels. In MONO mode the stereo input is mixed to mono and and with the walkie is fed only to the left channel — useful for camera operators who want to wear only a single mono earpiece. Additionally, the “ring” of the headphone jack is lifted so a mini mono plug will not short out the right-channel feed. 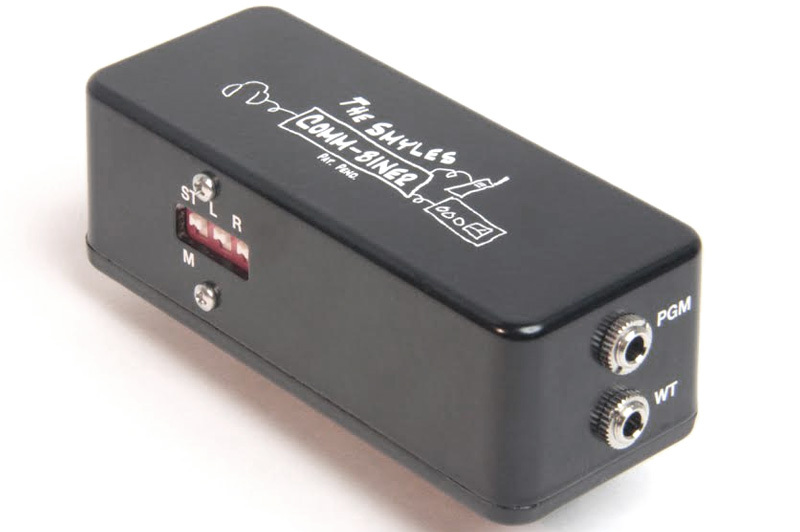 The signal chain is completely passive — no power is needed. 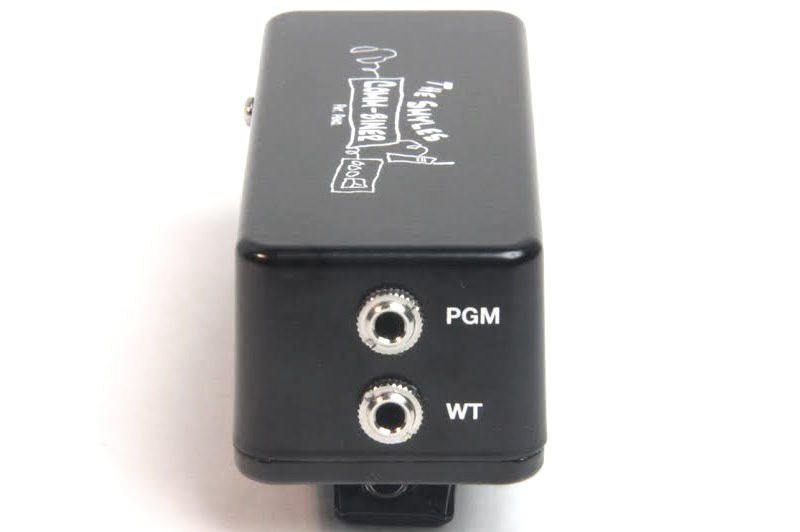 Plug the mini-to-mini cable into the audio source and into the PGM input of the Comm-biner. Plug the walkie-talkie cable mini plug into the WT input of the Comm-biner. Set the ST-M DIP switch as needed for either standard Stereo monitoring or Mono monitoring using a ballpoint pen or small screwdriver blade (normal operation is STEREO — MONO is for use with a single earpiece). Set the desired walkie feed to either Left, Right, or both channels, using the L and R DIP switches. Plug the headphones into the PHONES output. 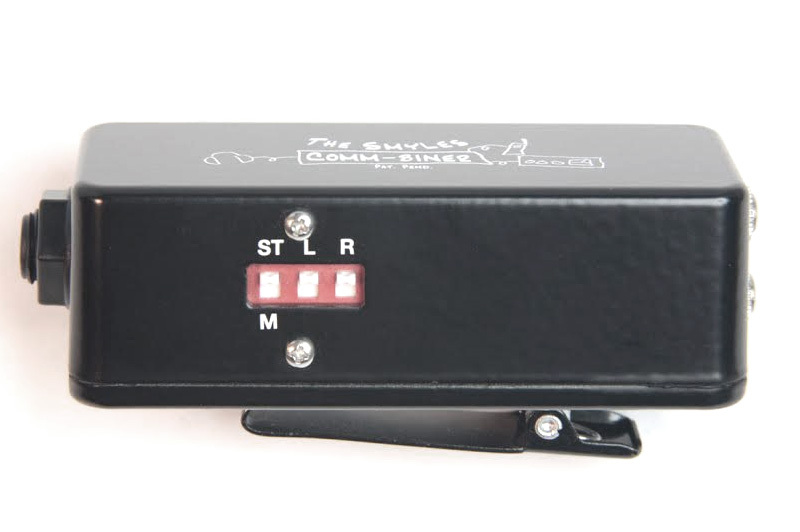 Adjust the level of the walkie-talkie audio to program audio with the walkie volume control. The walkie talkie mini plugs are connected to the left and right sides of the Y-splitter which in turn is connected to the PGM input. Each walkie two-prong plug is connected to a walkie-talkie tuned to the appropriate channel. 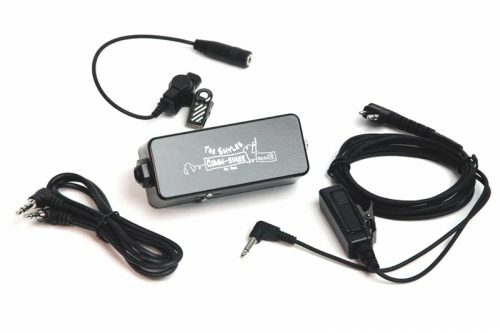 An IFB can be connected to the WT input using the mini to mini-plug cable. In this mode a producer/director can hear one walkie channel in one ear and another channel in the other ear. The IFB audio feed is heard in both ears in mono. If the STEREO-MONO switch is set to MONO, all audio is heard in the left earphone, leaving the right ear open for communication with talent or other on-set personnel.